This was a further post from last year that never got finished - so here it is! It has been a very busy year for me - an upgrade in responsibility at work has meant a lot less free time. The good news is that we moved in April, two of my fellow warmers are just over 10 minutes walk away. This has meant a lot of wargaming. 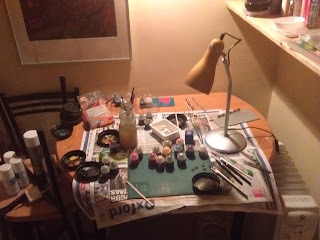 It has also meant a lot less (none, actually) blogging. One ion my problems is that I forget to take photos. Another issue is the sub-optimal nature of my phone camera. Another plus is that my current residence has a garage, which we are keeping free of household clutter. 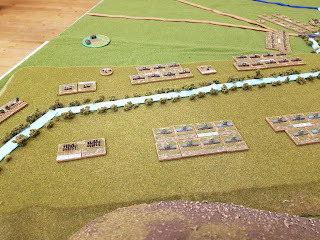 This has meant a get a dedicated area to spray troops - Hurrah! 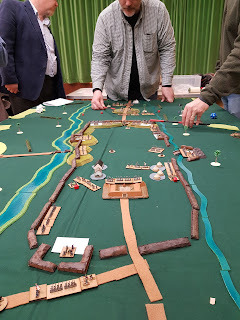 I have also changed emphasis in the last year, in that my fellow gamers in Oxford do mainly land battles, mostly using the excellent BBB rules by Chris Pringle. So, I've been concentrating on getting my French and Austrian Baccus Napoleonics figures "match fit". See April 2017 This has meant learning about basing sand and static grass, amongst other things. I therefore plan to make some posts about these, stay tuned. 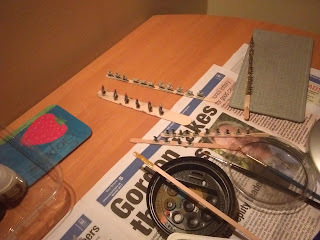 The plane projects are on a back burner, but having our own place will mean that they get done. I last posted in August as my job in Jakarta ended. I had expected to do more posting, but my elderly mother-in-law had an accident whilst Sarah (wife) and were in Mongolia, so we sped back to the UK. 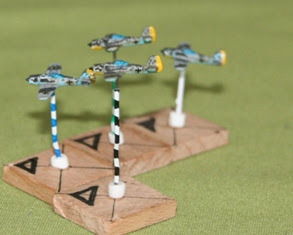 So, several half finished planes & modelling projects have yet to be completed. A return to the UK has been good in several ways. I've been able to visit the war-games club in Oxford and have enjoyed a number of games as both winner and loser. 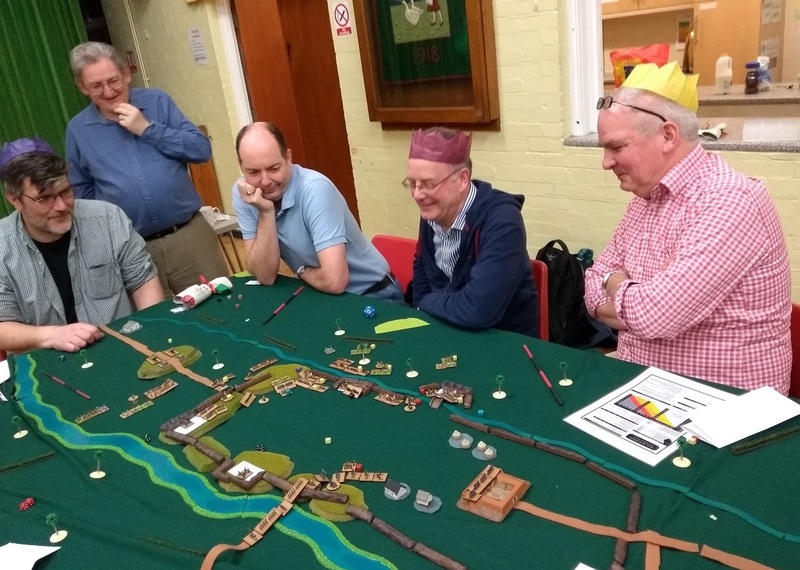 This year's Christmas game was based in Java, 1811, in honour of my return to Blighty from Indonesia - featuring Xmas hats and dice rolls modified by Xmas crackers. The game also had sealed orders, with one Dutch player following his, sallying forth from the fort with 1/4 of the troops and defecting to the Brits! A suitably festive look, as the EIC break in to the fort. Mark, 2nd left, made us pull crackers to determine several special events, such as blowing up captured bastions, etc. A lot of fun! 2mm BBB ECW. Bruce has been working on rules & figures. I recreated history and lost for the Scots against the Sassenach Cromwell. 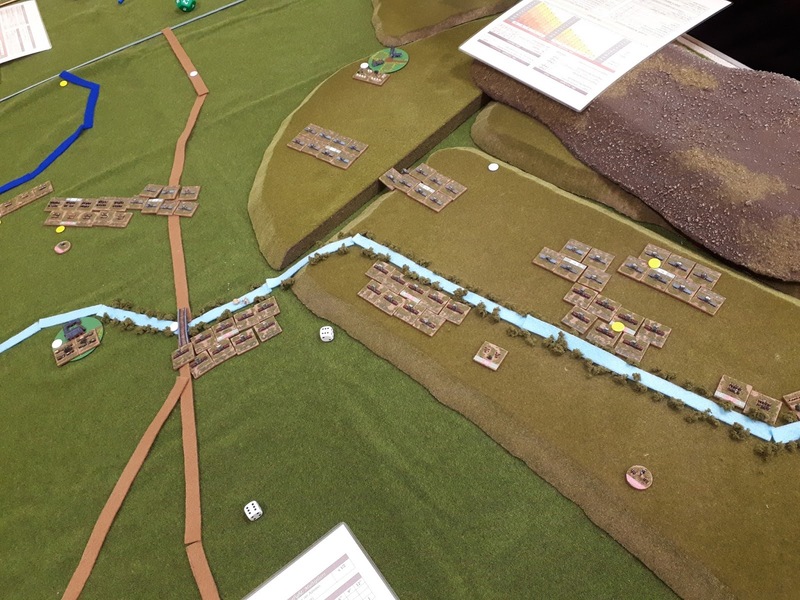 I've been wargaming regularly with my friend (& worthy opponent) Mark, BBB Sikh wars, Indian Mutiny/1st war of Liberation (delete as appropriate) & French versus Spanish, 1811. 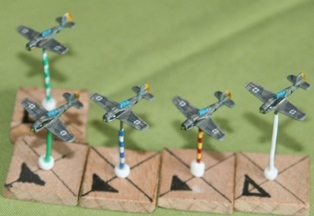 Mark's daughter Sarah is a keen WW1 planes fan, so wisely used her University holidays to help me playtest some suitable "fast & furious" rules. 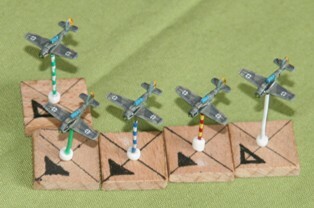 I've been painting my Baccus 1809 Austrians, which has been a really enjoyable process. More of this in a later post. The new workbench. I used the previous day's Oxford Mail wisely. 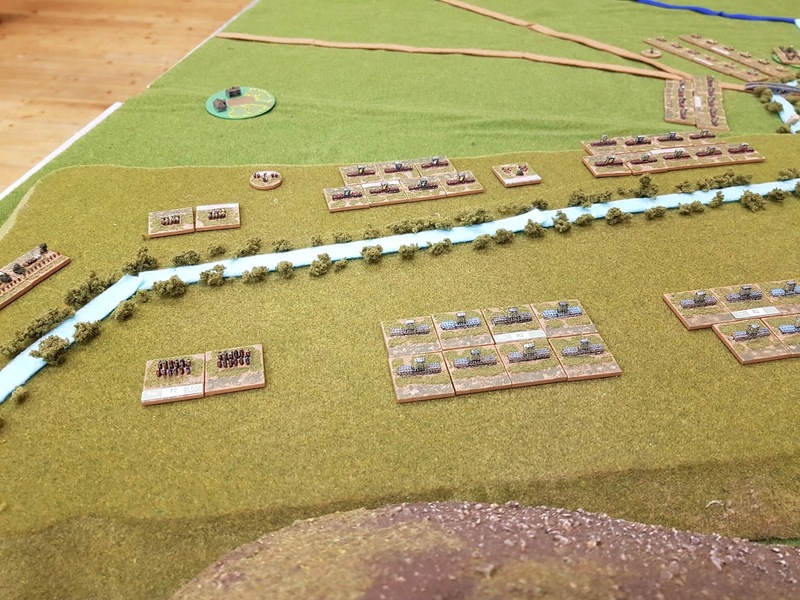 6 mm Baccus Austrians. 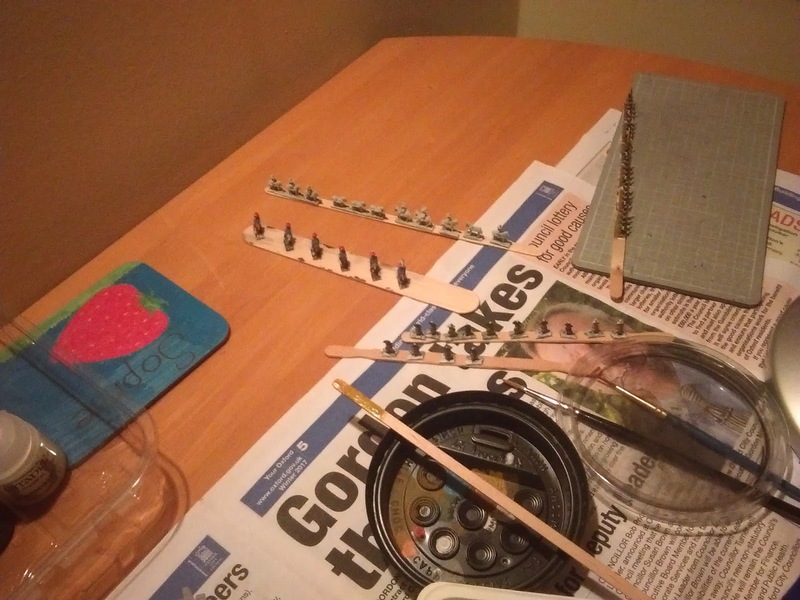 Note the use of coffee stirring sticks as troop holding bases and the highly effective re-cycling of coffee cup lids as palettes.